Hi everyone! It's September and I'm rounding up the month's posts, telling you a lil bit about my month and talking about books (because let's be honest when do I not talk about books?). BOOK HAUL OF JULY (and a few other things) - I shared the books (and clothes etc) I'd bought in July. More books than I'm proud of. Art Tuesday: I draw people?? - my attempts at portraiture. Art Tuesday: Poetry - I shared some scrapbook pages and fangirled over Ted Hughes. September - May: A Bookish Tour (Part 4) - I reviewed The Hobbit and The Lord of the Rings by JRR Tolkien, The Gigantic Beard That Was Evil by Stephen Collins, The Shadow of the Wind by Carlos Ruiz Zafon and Black Angels by Rita Murphy. Beautiful People - I participated in the writing meme and interviewed my character Freddie. Titles on the brain - I talked about title turn-offs and turn-ons; what makes a good title? ~ Went on summer camp. Amaaazing. Love, love, love. Great new friends. Great teaching. Amazing. Love. Love. Love. ~ I've started school again (this is not really a Heart at all, more just a general update). So that's not exciting. But it's nice to be with my friends again. ~ The Great British Bake-off started again!! Yaaayy I love this programme a lot. Are any of you watching it? I'm rooting for Martha and Chetna, though my prediction for the final is Martha, Richard and Kate. Ooh it's on tonight, the excitement! ~ My mum booked our flights and hotel for Singapore in October - !! I don't know if I've actually told you this, but my sister-in-law is pregnant (the baby is due really soon, in like two weeks!!) and we're going to see them (her, my brother and the baby) in Singapore (where they live) in October. ~ I've finally read The Dream Thieves and Rose Under Fire, and I can I just say LOVE LOVE LOVE. I also read The Great Gatsby and Persuasion, and now I am reading A Clash of Kings by George RR Martin. Can I just say, that man has no respect for my feels and I am pretty much an emotional wreck because of this book. I love it. But it's killing me. Oh, it's killing me. Anyway, reviews of those four books I read in August coming soon! Anne-girl @ Scribblings of my Pen produced the best of the Beautiful People posts I read in August. LOVING the sound of her novels. Marian's Chequerboard Cookies -- this recipe looks AMAZING! Cat's fantastically original post about insomnia -- ooh, and also her blog Through A Cat's Eyes is seven! Cait @ The Notebook Sisters talks about why she loves The Book Thief. (I fangirled and maybe cried a little). Ruby @ Feed Me Books Now reviewed We Were Liars - I want to read this book A LOT! It was a wrench to choose before the four books I read in August. Rose Under Fire, The Great Gatsby and Persuasion were all great, but I've been waiting for The Dream Thieves for so long and it was just. So. Good. Full reviews of all these books coming soon! That's all from me today - link me up to your own roundup posts! And tell me: what is the best book you read in August? Was it a tough call (like for me) or a clear favourite? :D thanks for the mention! Wow - 40k is a lot. Well done! I am very excited to read it - well that's if you'll be featuring it on your blog...? Oooh! Alt J. I am listening to them right now! my friend is going to see them in January. Oh dear, I think I only read one book in August...What happened?! 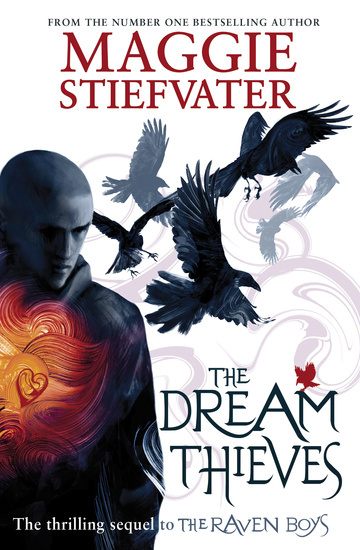 I am a gonna go add that book (the dream thieves) to my tbr list. THE DREAM THIEVES!!!! I love it. Such a good series!! !